The gums serve as the healthy foundation for your smile. And yet, according to the CDC, nearly half of American adults age 30 and older have gum disease, with that number increasing significantly with age. The team at Meadows Dental Group emphasizes a preventative approach to gum disease. However, in the event that a gum specialist can provide more suitable treatment, we never hesitate to refer patients to a periodontist. Find out how Meadows Dental Group can help with your gum health. Call 303-790-2323 today for service in Lone Tree, Highlands Ranch, Centennial and other nearby areas. Lifestyle habits like smoking, poor diet and insufficient oral hygiene increase your risk for gum disease. Our dentists provide a comfortable office environment where we perform comprehensive general dentistry services to maintain your gum health. Each of our hygienists has been serving patients at Meadows Dental Group for years. They not only know our patients, but have extensive experience performing scaling and root planing treatment. We perform gum therapy using a local anesthetic, which ensures your comfort throughout the procedure. If you get nervous during dental procedures, Meadows Dental Group also offers multiple forms of sedation dentistry. Fear is a major contributor to poor oral health. Our dentists will work with you to find the sedation option that helps you feel comfortable and safe. We provide judgment-free dental care – our foremost concern is helping you attain the best oral health results. 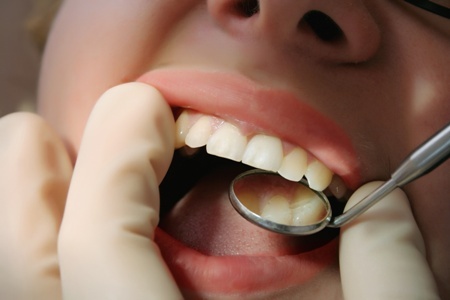 Gum disease is a common dental health complaint that our dentists and hygienists frequently address. We have the skill and experience to provide comfortable, conservative gum therapy for patients with mild to moderate periodontal disease. However, significant gum recession and other issues may require treatment by a specialist. Our team will refer you to a skilled periodontist for more advanced cases. Learn about preventative care, scaling and root planing and other gum treatment options. Call Meadows Dental Group in Lone Tree at 303-790-2323 today.